The first International Forum of Eurasian Partnership will host Dr. Xu Mingqi, President of Shanghai Institute for European Studies, Senior Advisor of National High Level Thinktank of SASS. Dr. Xu Mingqi is now also Secretary – General of Shanghai Coordination Center for FTZ Studies. His main research areas are in the theory international economics, international finance, international political economy, European Economy, monetary economics and monetary policy, and China’s economic system reforms.During the Forum Dr. Xu will present its speech titled “Eurasian Partnership and Silk Road Economic Belt Initiative”. Dr. Xu states that EEU plays important role in Silk Road Economic Belt Construction.Eurasian Economic Union (EEU) has already become important vehicle for the cooperation of Russia and Eurasian countries and moreover, there are many reasons for EEU to enhance the cooperation in every aspect. China is now the biggest trade partner of EEU and has already signed tens of agreements with member countries of EEU on trade and investment, especially in infrastructure projects. China sees the Silk Road Economic Belt as contributing to the economic growth of the EEU by bridging the regional economies of the EEU and the Asia-Pacific, thereby offering an economic stimulus to both regions. At the very beginning, Russia was a bit doubt about china’s intention of Silk Road Economic Belt initiative. However, Dr. Xu states that common international strategic interests and rapidly increasing bilateral economic trade and investment put Russia and China together and believe EEU and Silk Road Economic Belt have common goal and interests. ”I am quite optimistic for the EEU and Silk Road Economic Belt cooperation as we gradually have consensus. Once we have consensus, common action will be easy to launch. 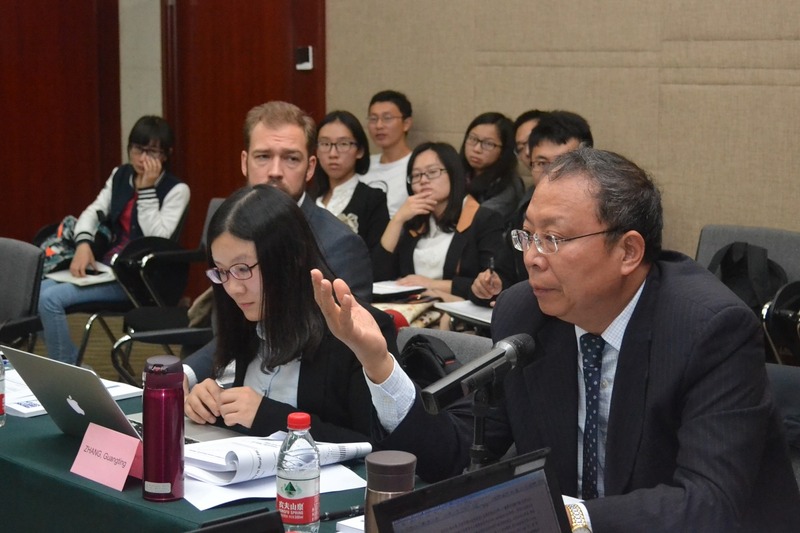 For the common interests in this region, we can achieve much more than our ancestors who created the traditional Silk Road and linked the West and East to build a new Silk Road Economic Belt that connect and integrate Asia and Europe together,” Dr. Xu added.